Coastal Charm: Happy Birthday to NIFTY THRIFTY TUESDAYS and a GIVEAWAY! Happy Birthday to NIFTY THRIFTY TUESDAYS and a GIVEAWAY! The GIVEAWAY will end March 6 and the WINNER will be announced on March 7! Hello everyone...the day that I've been waiting for is finally here...it's my first NIFTY THRIFTY TUESDAYS PARTY! I love to host parties in my home...I had a baby shower here just last weekend for my nephew's wife and it was soooo much FUN sharing this wonderful and exciting time with friends and family. I was telling Mr.CC earlier today that this kind of party here in blogland is right up my alley...no mopping...no dusting...no cleaning baseboards etc....just sit in front of the computer and type away...I can even do this while wearing my favorite pair of pj's! Today I will be posting about some goodies that I found at GOODWILL and a local consignment shop...I hope you enjoy the party and thank you sooooo much for joining me...it means the world to me! 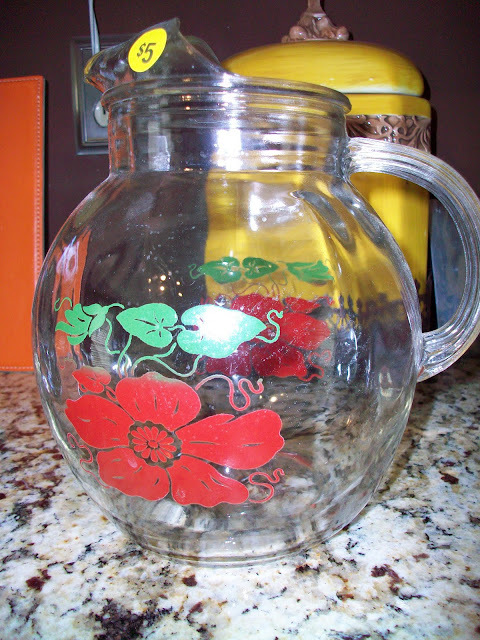 I found this old vintage pitcher at a local consignment shop...knew I had to have it...it goes really well with some glasses that I already have...luv the $5.00 price tag! Brand new TJ Maxx merchandise at GOODWILL...$2.00! 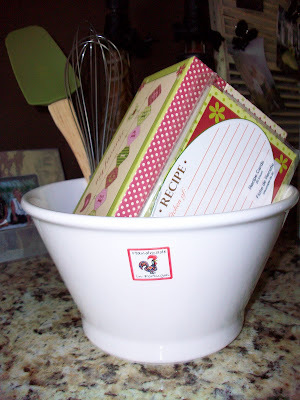 I'm going to use this cute mixing bowl for a kitchen gift basket...I'm still buying items to fill it up! 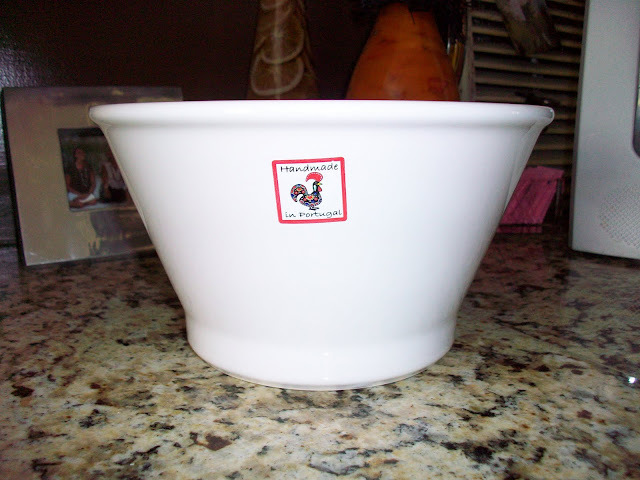 Another TJ Maxx item...still had the price tag on it...only $3.00! I guess she doesn't like returning things...her lost...my gain. Happy Birthday and thanks for hosting this great meme every week. Hi Linda I am now following Blue Creek Home. Thank you. I am enjoying your site. I think if I win the drawing I would display the pillow either on my bed or in the living room. Happy anniversary! New follower today...have enjoyed your party several weeks in a row! Congratulations Linda on having so many bloggers joining in the Nifty Thrifty Tuesdays. I've enjoyed it so much and plan to participate as much as I can. It's so much fun. Love all your finds too. 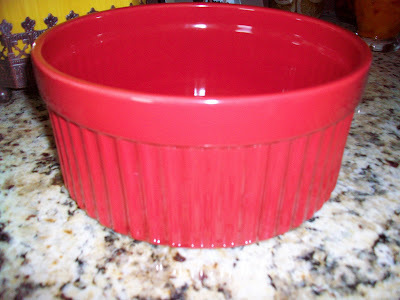 Thanks for posting your first party, love all the TJMaxx bowls you got! Thanks for the time you give to it! Thanks for this link up - and Happy Birthday! Happy Birthday to NTT! I still love the finds from your first party! It's been a good year and I'm glad I was able to join in for a lot of Tuesdays. Happy B-day to NTT....love this party..thanks for hosting! I gladly put your giveaway in my side bar! Hi Linda, congratulations. I'm sure that time's gone fast for you. Thanks for the link to Rhonda's blog. It's beautiful, and will be delightful to follow. I would be leaving that cushion in the living room, with a caution to all - it's for display only. I love the picture the fabric and the gorgeous rosette. Rhonda is a talented lady. Hi Linda...I've linked to your party! Following Blue Creek, GREAT blog! Your lovely giveaway is on my sidebar!!! I would love to win this sweet pillow. On my bed I have a beautiful antique croched coverlet and this pillow would look beautiful there! Congrats on your meme anniversary. Thanks much for hosting...I love this meme. Happy Birthday to NTT and it's huge success. With a hostess like you, also a true Southern lady, it was bound to become a fun place to party! If I win the pillow it will sit proudly on my bed. Happy Birthday Nifty Thrifty Tuesdays and what a lovely birthday giveaway. I have been a follower of Rhonda's blog and what a beautiful blog she has. Thanks for hosting. Congrats to you Linda...time sure does fly. Thanks for hosting your party. Congrats, Linda! I love NTT! Thanks for always taking the time out to host! P.s. 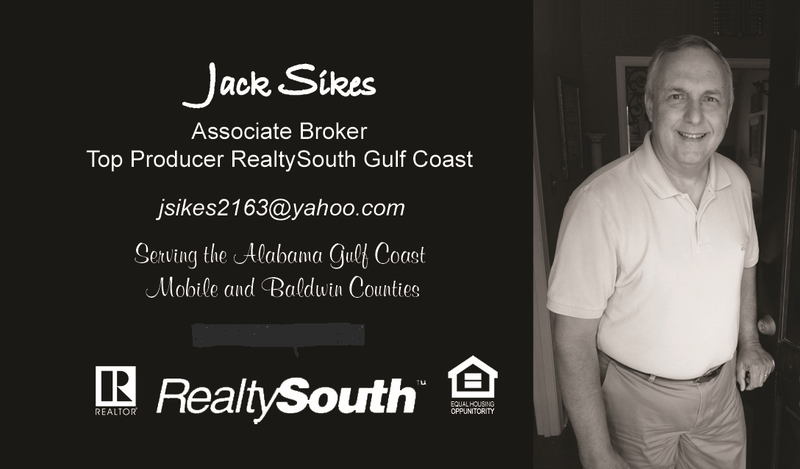 thanks for sharing Blue Creek Home. I'm now following! I will give a little shout on my sidebar! Happy Birthday to Nifty Thrifty! I always look forward to participating and thank you for taking the time to host each week. I am your newest follower and would love a follow. I don't have a link today but i enjoy your party every week very much ! Happy Birthday and congrats to you ! 1 year is great ! It would go in the baby room ! Oh this is so precious ! Congratulations! Even though I don't have a blog, I really enjoy seeing all the Nifty Thrifty posts every week! This pillow is gorgeous. I love it! If I won I would put it in our master bedroom for sure! Thanks for a shot at winning! Gorgeous pillow. I would love to put this in our master bedroom, I think it would look fab! Happy Anniversary. Wow...you have a lot of participants! Love all your finds, each week is better than the last. Congratulations on your 1st NTT birthday. I always enjoy partying with you!! It doesn't surprise me that the party has grown so much over the past year. You are a very gracious host!! Hi Linda! Congrats on being NIfty and Thrifty for one full year ~ love it!! Congrats! What a wonderful milestone! Thanks for hosting! Congrats on one year! I am a follower and I hope I win! I also follow Blue Creek home! I think I would have that pillow in my guest room! Just wanted to stop by and say CONGRATS on your one year! Hello Linda, congrats on one whole year of your fun meme. I enjoy it very much. Love your thrifty buys too. The water pitcher is so sweet and the TJMaxx items a real steal. You gotta love the great buys you can find thrifting. Happy Birthday to your linky party! Not only do you know how to throw a good party, you find the best deals! I love the rustic feel of the pillow with the materials and the fabric flowers but yet it is so elegant thanks to it's artistry! It would look perfect in my living room!!!! Thanks for always hosting a fabulous party! This is my first visit to Nifty Thrify Tuesday's and love it. I like all your good finds. I am jealous of any good GW store, for lack of having one. This is my first time linking-up to Nifty Thrifty Tuesday. I am also a new follower of yours, and I am enjoying your blog! If I am lucky enough to win the lovely pillow, I will proudly display it in the dormitory. It is the largest bedroom in the house, and it is our guest bedroom. Our teenage daughters call it the dorm because it's where they have sleepovers with their friends. I think it is one of the prettiest rooms in the house, and the girls take good care of it! Love your blog! Thanks for hosting such a great linky party...I just joined in...looks like fun! I also just became your newest Follower. 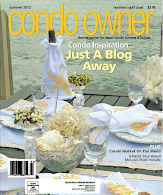 I live on the coast of Maine and love the coastal theme in your decor and on your blog. I would put this gorgeous pillow on my bed! Lucky duck finding those bowls. Love the the little gift bowl you are making. I am all linked up. Thanks for hosting a great blog party each week. Happy Anniversay Linda...you've come a long way baby..hahaha. I've enjoyed every Nifty Thrifty Tuesday and look forward to more! You found some great TJ Maxx finds...love, love that store. Happy birthday to you.Congratulations and thanks so much for hosting. It is such fun to join in. Love you thrift finds and what a pretty pillow giveaway! This pillow would be headed for the padded armchair in the "no kids allowed" living room! Yeah to you and thank you for hosting. I always love to see your recent finds. Best wishes to you, Linda, for continued success. 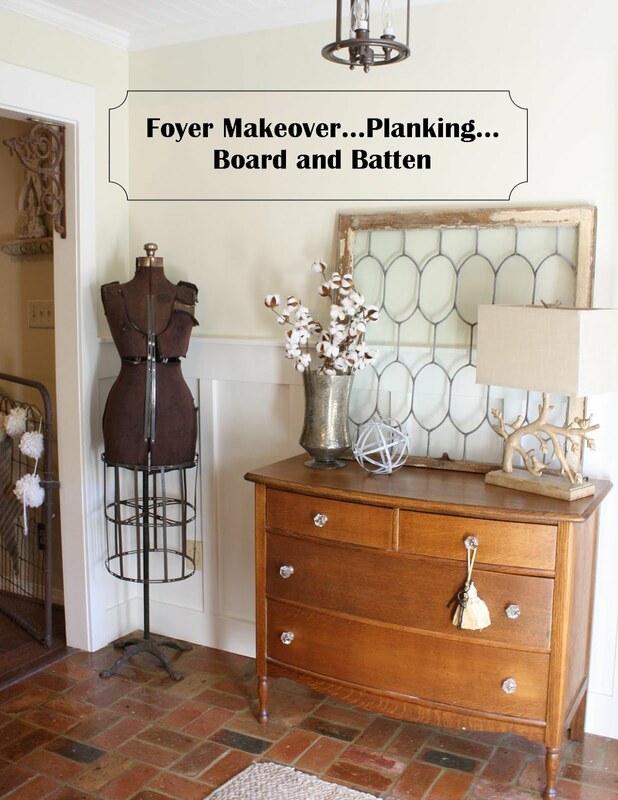 Your blog is so fun and I love Nifty Thrifty Tuesday. I love thrifting and your party is the perfect venue for showcasing the treasures to be had for those of us who are willing to get our hands dirty. Happy One Year Birthday, Nifty Thrifty Tuesday! Happy Birthday! I would display the pillow on the comfy chair in my bedroom. Hi! I just found your party from another blog...looks like fun so I joined in. Thank you for hosting and I hope to join your party more often! Congrats on the one year NTT! I have enjoyed it every week! Happy Birthday NTT. Thanks for hosting! Thanks for sharing this at my party! I love TJ Max, and these are some very cute finds. I am sorry I am on here again,I just wanted to let you know I am following Blue creek home. Thanks again. I love your great finds at Goodwill! Such a beautiful pillow! It makes a wonderful giveaway gift. Thanks for hosting, Linda. Please be sure to come by and enter my giveaway, if you haven't yet. And I would love to have you join me for "Funny Faux Pas Follies". Happy Birthday Nifty Thrifty Thursday! I would love to win this fabulous pillow. I would display this beautiful pillow in my French Rose Garden Bedroom. I added your giveaway button to my sidebar. I'm a happy follower of Blue Creek Home. I would love to use this pillow in any room of my home, but I honestly thought of my daughter when I first saw it. The image on the pillow reminds me of Asheley - my daughter - holding my granddaughter - Lana. The images on the pillow actually resemble Asheley and Lana. And the pillow would look gorgeous with the table chandy I made her for her birthday - this month. Linda, your birthday giveaway button is now on my sidebar. Hi Linda - I am happy to be a new follower of Blue Creek Home. Can't wait to read more. Thanks again for hosting this fun giveaway and party. Congrats! Rhonda's pillow is so pretty. I would love to display it in my living room on a vintage caned-back chair that sits beside an oak slant-topped desk. Oh, it would look so good! Happy Birthday to your Nifty Thrifty Tuesday Linda! Thanks for linking this up! You had some nice finds on that post. I always love a great deal. 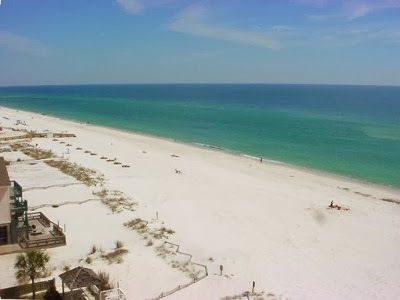 I am following Blue Creek blog via Google Friend Connect. I would put this pillow either on my sofa or on my bed, not really sure which! Thanks for hosting this giveaway!